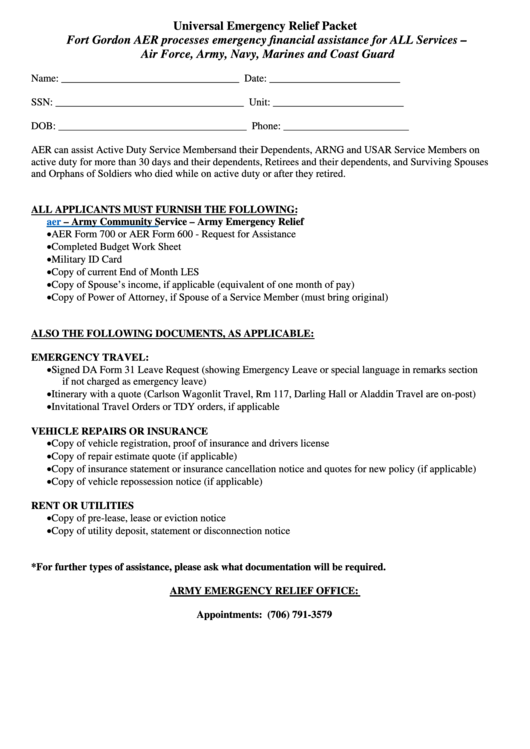 Download a blank fillable Aer Form 600 - Commander'S Referral Program Application For Army Emergency Relief (Aer) Financial Assistance in PDF format just by clicking the "DOWNLOAD PDF" button. Complete Aer Form 600 - Commander'S Referral Program Application For Army Emergency Relief (Aer) Financial Assistance with your personal data - all interactive fields are highlighted in places where you should type, access drop-down lists or select multiple-choice options. and Orphans of Soldiers who died while on active duty or after they retired. *For further types of assistance, please ask what documentation will be required.